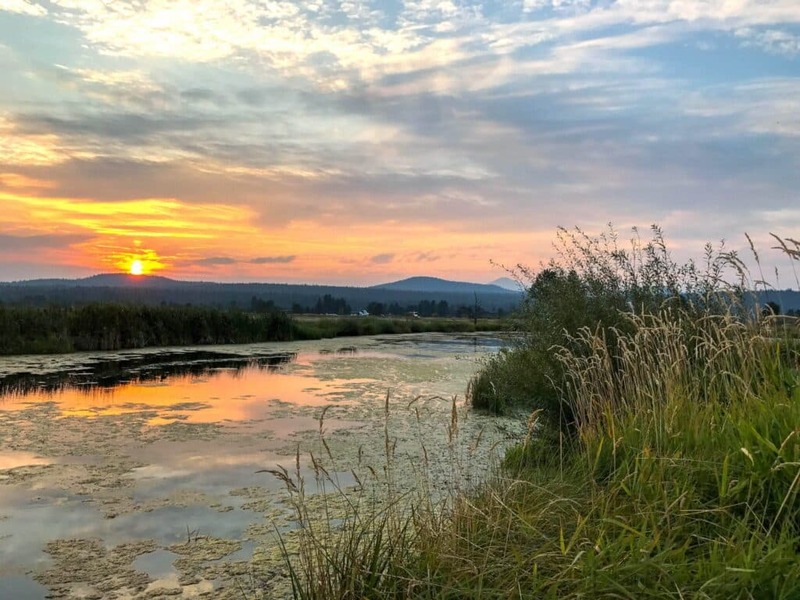 Set in the foothills of the Cascade Mountains, Sunriver Resort in Oregon is a destination spot that people flock to year round. Prior to visiting, I had no idea how widely popular the resort is and has been for almost 50 years. 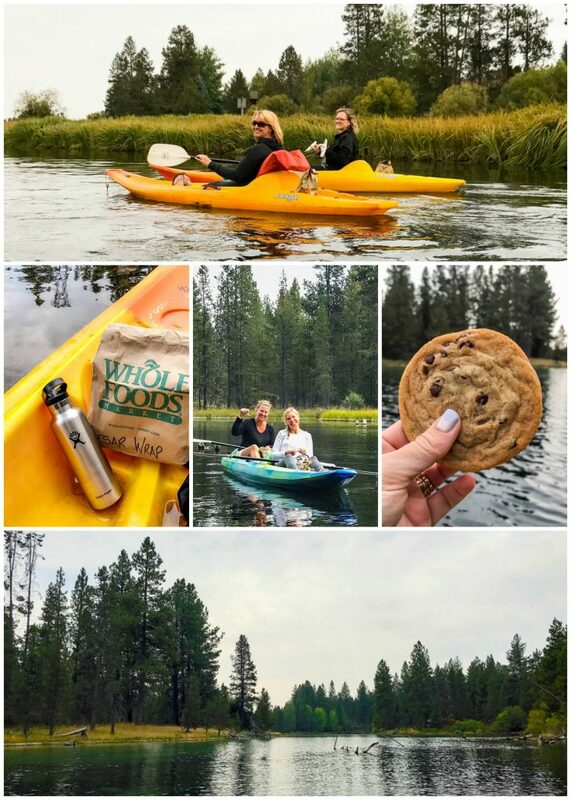 When I mentioned on Snapchat and Instagram that I was headed to Sunriver, many of you messaged me to tell me that you love visiting the resort. Childhood memories from visits to that area were in abundance. The resort has been open since 1968 and it’s hugely popular. 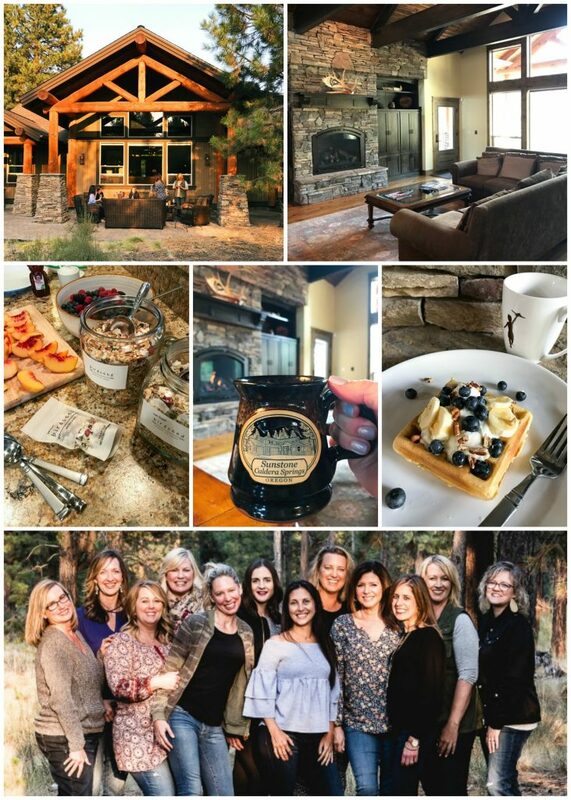 A couple weeks ago, my friend Sandy, along with Sunriver Resort, hosted a group of blogging friends for the weekend. We stayed in an absolutely gorgeous house in Caldera Springs that slept 12 comfortably and we all had plenty of space to spread out and relax. 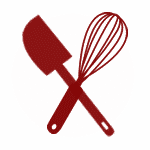 The homes here are ideal for family reunions, group retreats, and corporate events. From bicycling to kayaking, we made the most of our stay in Caldera Springs. As a less than “outdoorsy” person, a few of my friends may have expressed some laughter at the thought of me spending a few days bicycling and kayaking. I’m thrilled to tell you that I had a fabulous time and I am already making plans for another visit. With over 40 miles of bike paths, and bikes available for all the guests, this is the most bicycle friendly town I’ve ever visited. I hadn’t been on a bike in at least 25 years and I loved it. The paths are smooth and wide, in addition to being almost completely level, with few hills to speak of. The local residents rarely choose to drive when they can bicycle to their destinations. Trust me when I say that this was the easiest and most relaxing bike ride you can even imagine. Everywhere we looked there was a picture-perfect scene. As a first time kayaker, I have to admit that I was pretty nervous. Within minutes on the water, my nerves were calm. It turns out that kayaking is pretty darn easy and amazingly peaceful. The water was so calm and we chatted and rowed and floated in turns down the river. If you’ve never seen the Deschutes river, it’s almost unbelievably clear. I could’ve spent days there. You may not see me braving rapids anytime soon, but I’d take another day on the river in a heartbeat. I really loved it, once I had the hang of it. We stopped and floated for a while and enjoyed lunch on the water. We spent one morning at Sage Springs Spa and it was lovely as can be. From the relaxation room to the massage, the sauna and hot tubs, the spa’s amenities are reason enough to move into this area to stay. 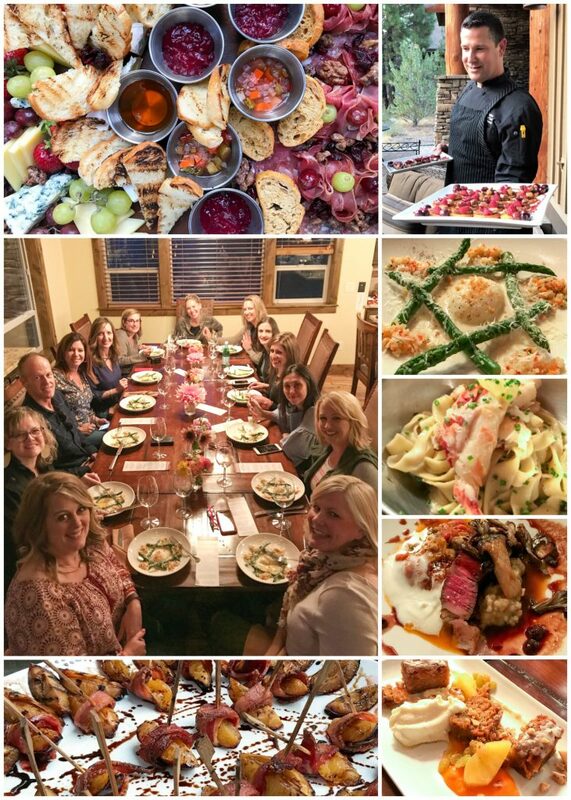 Chef Travis with Sunriver Resort came to the house and prepared a phenomenal meal for us on Friday night. Every bite of the five-course meal was fantastic. The grand finale was a deconstructed carrot cake that was so memorable I’ll be playing with my own version of it to share with you soon. If this meal was representative of what the resort’s restaurants offer, then I can’t speak highly enough of the food. Sandy, Kristen, Brenda, Amanda, Maria, Gina, Erin, Heidi, Cathy, Lori, and Cheryl, I loved spending time with each and every one of you. And extra special thanks to Cathy for the Noble Pig wine that is my new favorite. I saw so many social media posts about this trip and one picture looked more beautiful than the next! It looked like such a great trip and so much FUN! My kids live in Bend, Oregon. It's beautiful. Mary your photos are so stunning, I can't stop staring at that gorgeous lake, I need to go!! One of my favorite trips, in my own backyard. 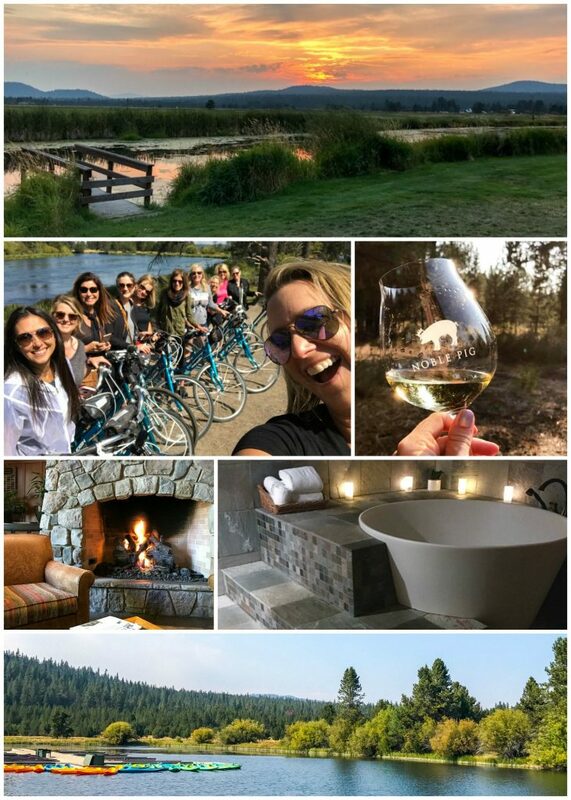 Loved having all of you ladies here to enjoy central Oregon and this amazing resort!